The Los Angeles Auto Show happens in a few weeks, and if panels about mobility and a warmed-over Corvette Z06 are your jam, it’s going to be a nonstop thrill ride. But if you ask me the real action happens right after, that weekend, because that’s when Radwood 2 goes down. And you should come! This is your first reminder of many that the fantastic 1980s and 1990s-only car show sponsored by Jalopnik will go down on Saturday, Dec. 2. It’s a show for cars built between Jan. 1, 1980 and Dec. 31, 1999 and their holdover models, and if you yearn for the era of pop-up headlights, angles, decals bragging about fuel injection and a much cleaner a e s t h e t i c, you should be there. The show is open to pretty much every car from that era: minitrucks, lowriders, Euro trash, American muscle, sport compacts, imports, race cars, or something else entirely. How much: The standard cost to enter the car show is $25 per car, or $10 to spectate (children 12 and under enter free). There will also be a limited number of #RadwoodRoyalty event entries given special display parking, as well as a special event t-shirts, at a rate of $50 per car. In addition to the cars, guests will be treated to period-appropriate entertainment, and a real good time. How to sign up: Head on over to the Radwood Eventbrite site! What cars: Cars built between Jan. 1, 1980 and Dec. 31, 1999, though exceptions will be made for earlier cars with a distinctly period-correct aesthetic, or later “continuation” models. What else: Period dress is compulsory! Dress like it’s the ‘80s or ‘90s. Not hard to do these days. 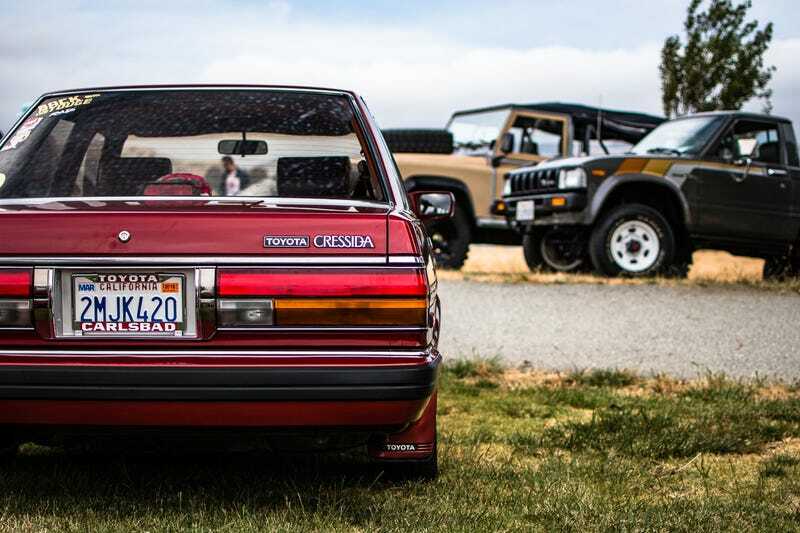 Team Jalopnik and many of our friends will be there too, and we plan on partying like it’s 1987. Let us know what you plan on bringing. This is going to be fun!